Realized price for Monumental Pottery Jar. 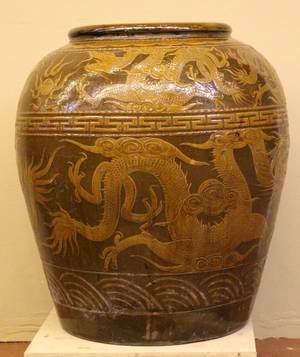 With Oriental decoration of dragons on brown ground with three layers of stylized banding. Height 34 inches. Diameter of top 18 inches.